This picture is from Ben Williams, a member of the Magic in 2004 and the Cadets from 2005-2006. This is a picture of the Quads of Bergen (QB). 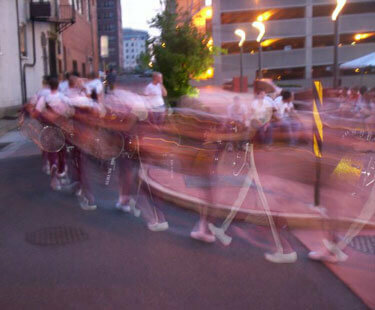 I believe it was taken at our pre-season debut show, Memorial Brass, in Allentown, Pa., as we were walking from our warm-up to the show. It was taken by our instructional tech, Stan Moore (QB 2002-2005).